Challenge - OzHPV Challenges consist of a series of events held over a weekend. The aggregate performance of a HPV provides a measure of it's practicality. The emphasis is on competing in everything and having a machine that will do everything. The OzHPV Challenge is ON! Download the entry form here (PDF 161 kB). 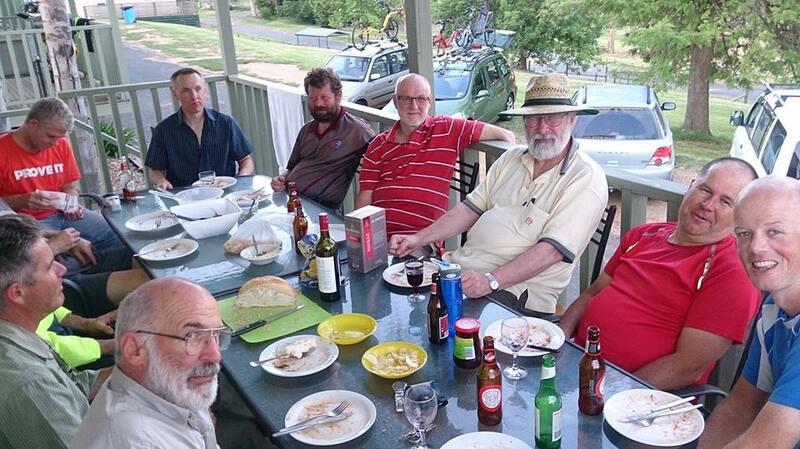 Rally - Recumbent enthusiasts from around Australia gather for a weekend of riding, racing, eating and talking. Rides - Regular rides, generally of a social nature. Track Racing - Fun and serious racing on velodromes or other suiteble tracks. Come and Try - An opportunity for newcomers and experiened HPV'ers to sample a range of HPV's. Other Events - OzHPV is also involved in HPV related events such as Solar Challenges, etc. For information on upcoming events click here. Social rides are held every Wednesday mornings, starting at 6:30 AM at the Acton Ferry Terminal. It's an easy ride culminating in breakfast in civic at 7:30. With most participants being retirees breakfast can linger.. The Canberra Mob also holds a semi-regular ride on the first Sunday of every month. Check the Canberra Mob E-mail list for details. OzHPV has a Strava club - join here. The 2014 OzHPV Challenge was held on September 27-28 in Corryong, Victoria. See photos and results here.